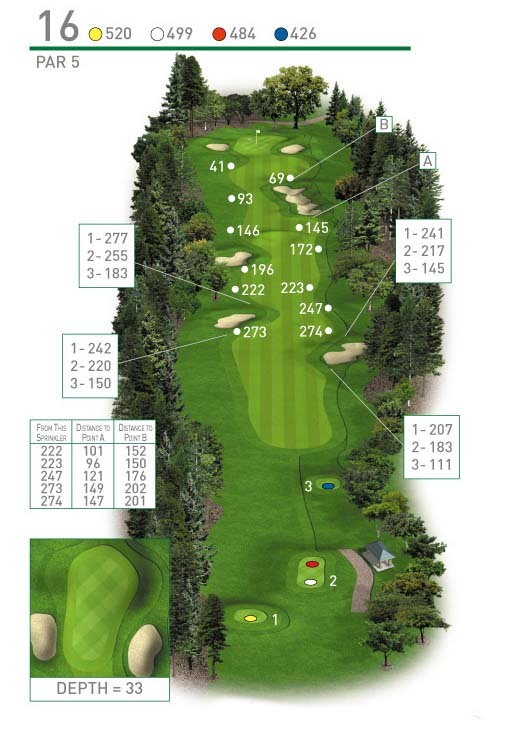 The first Par 5 on the back nine and hitting driver down the left side of the fairway is the correct play. Players laying up should keep clear of the bunkers positioned to capture any ball hit to far up the fairway. A short iron is all that is required to attack the pin and give yourself a chance to score.